As technology continues to develop, we only want things to go faster. We care about how fast our cars are, how long we wait in line for service, and how quickly we get answers. This need for speed is also a driving force in business. Machine builders are tasked with making equipment (e.g. 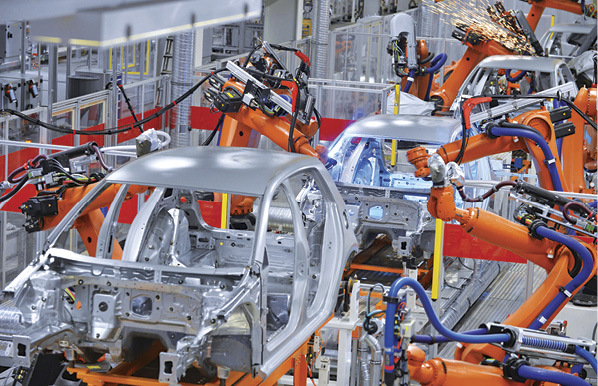 robots; see image above) that will process goods more quickly, and in order to accomplish that task it is important that builders select the appropriate components to use on the machine. In the case of pneumatic automation, the machine builder needs to consider the valves’ “shifting time,” that is, how fast the valves will operate. Measuring the shifting time can be complicated due to many contributing factors. The result can vary dramatically depending on the setup (flow restrictions), inlet pressures, and the definition of when the valve has shifted. ANSI/(NFPA) T3.21.8-1990 defined ‘response time’ as the time between a signal starting point, and the time the pressure in a chamber connected to the outlet port changes by 90%. European standard CETOP RP111P-1989-11-01 defined ‘shifting threshold’ similarly, but specified a 50% change in pressure. The Japanese standard JIS 8375 originally referred to the time at which the pressure just started to change. Figure 2 highlights the differences between the national standards. Not only did these national standards use different terminology, they specified different points at which the valve was considered shifted. The time between a 90% change in pressure (NFPA Standard), and the first change in outlet port pressure (JIS Standard) is significant. In some cases, the value reported from the JIS standard would be less than half what is reported with the NFPA standard! If the end user didn’t understand the test conditions, the values reported in literature could be misleading and/or misinterpreted. The only way to solve this problem was to create a global standard. Such a standard, ISO 12238, “Directional control valves – Measurement of shifting time,” was approved by ISO in 2001. This standard covers the shifting time of single and double actuated pneumatic directional control valves, with 2 or 3 position functions. It includes specific test procedures for both electrically and pneumatically operated valves. 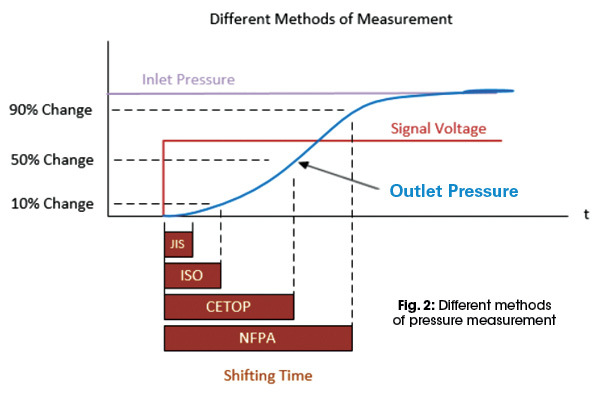 This standard defines shifting time as a 10% change of the pressure at the outlet port (see Figure 3). Other key setup details include a standard inlet pressure of 6.3 bar, zero volume on the cylinder port (just the pressure transducer), and use of the pressure-measuring tube specified in ISO 6358-1 at the inlet of the valve. A data recording device, often an oscilloscope, is used to capture the electrical signal to the valve, inlet pressure, and two pressures at the cylinder ports. The shifting time is then determined by measuring the time difference between the electrical signal change to start the shift, and when the cylinder port pressure has changed by 10%. 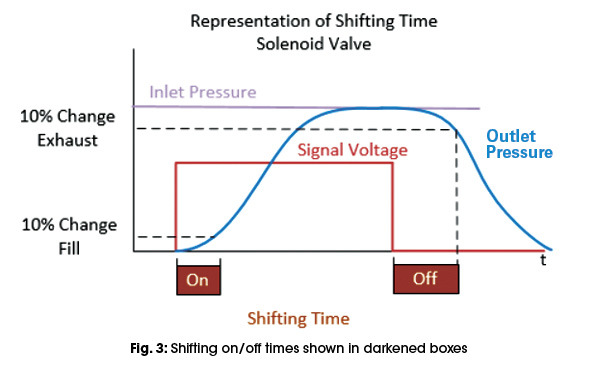 (Figure 3 shows a representation of the shifting on and shifting off time.) For a pneumatically operated valve the measurement is slightly more difficult because the input signal is a pressure curve. 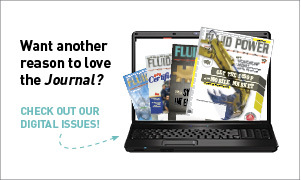 Shifting time begins when the pilot pressure reaches 10% for a pressurized pilot and 90% for a vented pilot. The test is repeated three times, and the average value is reported in literature with a statement that it is tested in accordance with ISO 12238. Now that we live in a globally connected business world, it is important for manufacturers to use a global set of definitions and test procedures when discussing valve performance. If not, the values given to the end user can be misinterpreted and/or misleading. Next time you are selecting a valve based on performance, look to see which standard was used for testing. The use of ISO standards ensures you are comparing apples to apples. For more information: Contact Denise Rockhill at drockhill@nfpa.com. Learn more about NFPA and ISO standards at www.nfpa.com/standards. Selecting a valve can be frustrating if there is no universal standands. But how to apply the standards in every aspect is another question. Good point.